The historic Punch Bowl Inn, in Ludlow Road, has received a massive 10,000 ‘likes’ from customers and visitors on Facebook. 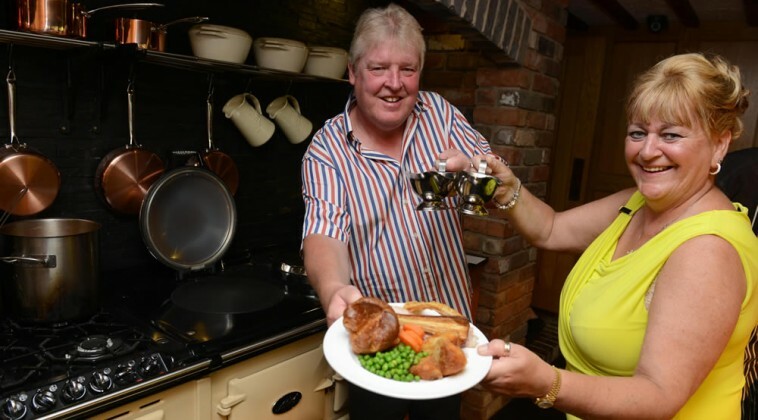 Owners of the popular inn, which dates back 700 years, believe its success is down to several factor including the popular AGA carvery, sensibly-priced home-cooked food, a stunning setting and a refurbishment of restaurant and rooms. The traditional pub has recently also become known as a favourite wedding venue, and – as of 2018 – will be licensed for civil ceremonies. 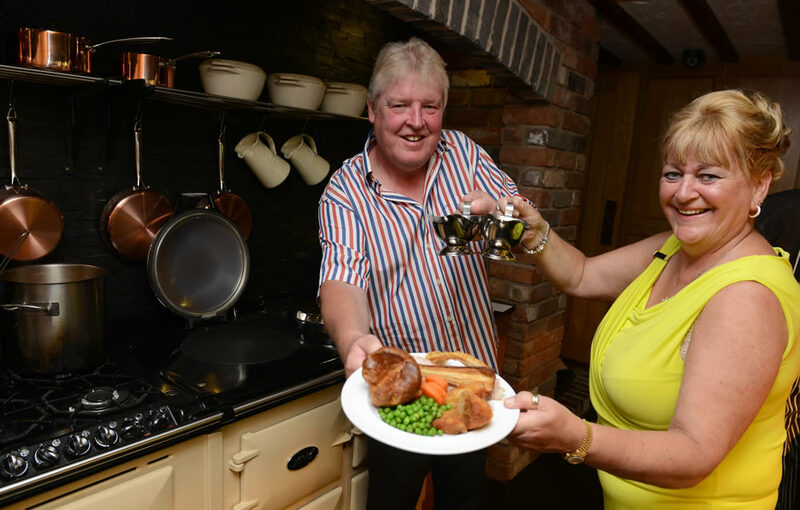 The Punch Bowl Inn was the UK’s first AGA carvery and has earned a string of awards including UK Venue of The Year by the prestigious Les Routier guide and a Certificate of Excellence from Trip Advisor. The inn, owned by the Giles family – who are collectively known as Nostalgia Inns and also own the popular Plough Inn, near Bewdley – offers picturesque gardens with ornamental lake, Japanese bridge and stunning views across the Shropshire hills and countryside. Owner Adam Giles, comments: “This has been our best year yet and this is reflected in the the popularity of our social media channels. We feel very proud to have more than 10,000 people ‘liking’ our Facebook page. “It is great to win industry awards but to be appreciated by our customers means more than anything. 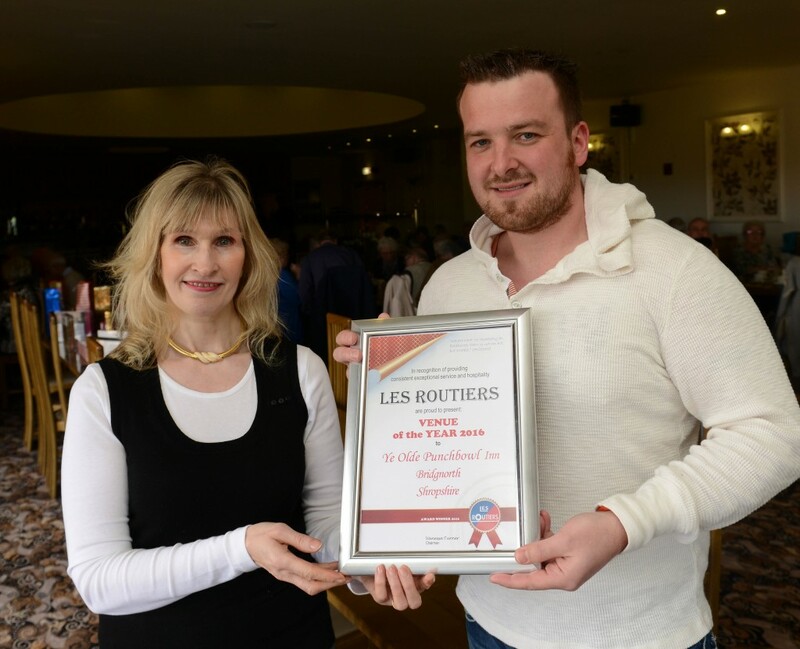 Punch Bowl Inn Wins Venue of The year 2016– Awarded by the prestigious ‘Les Routier’ Guide. Bridgnorth’s much loved Ye Olde Punch Bowl Inn has this week been awarded the prestigious ‘Venue Of The year’ award by Les Routier Guides UK. Nationally recognised for its consistent quality customer services and quality cuisine in a prestigious national award. The annual Awards highlight establishments that consistently meet and exceed the fastidious membership standards. Awards are based around performance, customer feedback, reviews and recommendations. A representative of Les Routier Tina Griffiths, Customer Service Executive (Picture with Owner Adam Giles) “The 2016 competition was fierce with extremely strong contenders for each category; but the judges believe this year’s winners have consistently demonstrated exceptional levels of service hospitality, quality of food throughout the year. We extend our warmest congratulation to all our worthy winners and commend them on being ‘best in their class’! The Les Routiers brand is recognised worldwide. Established in Paris in 1934, it started as a guide for the best independent restaurants and places to stay for road users. By the 1960s, people in the know in France and visitors to the country started to seek out the familiar Les Routiers plaque; it signified that the establishment was well-managed, clean and hospitable, and offered good food and excellent service. Les Routiers UK continues to highlight these establishments across the UK & Ireland for visitors who are looking for an independently-owned destination for a short break – or simply somewhere to eat, drink or stay. The Punchbowl Inn, one of Shropshire’s most sought after wedding venues and has been catering for many types of private & corporate functions for more than 50 years since the Ludlow Suite was first built, originally for Weddings. Join us for our First Wedding fayre. All attendees receive a £5 AGA Carvery Voucher for your next visit. PLUS Save £1000 off Any Exclusive Use bookings received AND WIN £3000 Wedding! Ask for details. Best Wedding Venue Midlands 2016″ By on-line Wedding Planner. Following the resounding success of a recent innovation created by MD Adam Giles of Worcestershire based Nostalgia Inns, who own the Plough at Far Forest, Near Bewdley, and their sister pub Ye Olde Punch Bowl inn, Near Bridgnorth, they have now launched the concept at The Plough Inn, Nr Bewdley. Popular nostalgic pub and award winning carvery, Ye Olde Punch Bowl Inn is celebrating a year of awards and announcements – with the best yet to come. Ye Olde Punch Bowl Inn on Ludlow Road is celebrating with their latest award as West Midlands Wedding Venue of The Year 2013/2014 by Your Wedding Planner Magazine. Highlighting Ye Olde Punch Bowl Inn’s excellent facilities including its popular Ludlow Suite and the professionalism of the team. The wedding award was closely followed by a nomination by top Travel Guide Les Routier who have highlighted Ye Olde Punch Bowl Inn as one of the best inns in the UK based on customer service, quality of food, standard of accommodation, performance, feed-back from customers/subscribers and “going above and beyond standard requirements” according to Tina Griffiths Les Routier Customer Service Executive. Open daily 12.00pm -3.00pm. Closed Monday eve.